Building on the strengths of the second edition, this highly regarded textbook continues to provide the best introduction to the strategies of comparative research in political science. Divided into three parts, the book begins by examining different methods, applying these methods to dominant issues in comparative politics using a wealth of topical examples from around the world, and then discusses the new challenges in the area. 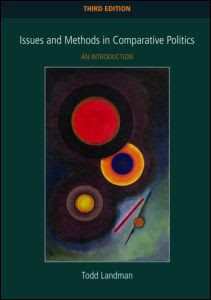 New to this edition: features explanation of regression analysis with accompanied briefing boxes new discussion of the assumptions, research design, and the use of statistics characteristic of many-country comparisons single and multi-country studies - how to compare countries and address problems of comparison, especially the principles for selecting countries new chapter on the intersection between international relations and comparative politics all chapters have been updated with new publications and research output relevant to the discussion. Balancing reader friendly featureswith high quality analysis makes this popular academic text essential reading for everyone interested comparative politics and research methods.